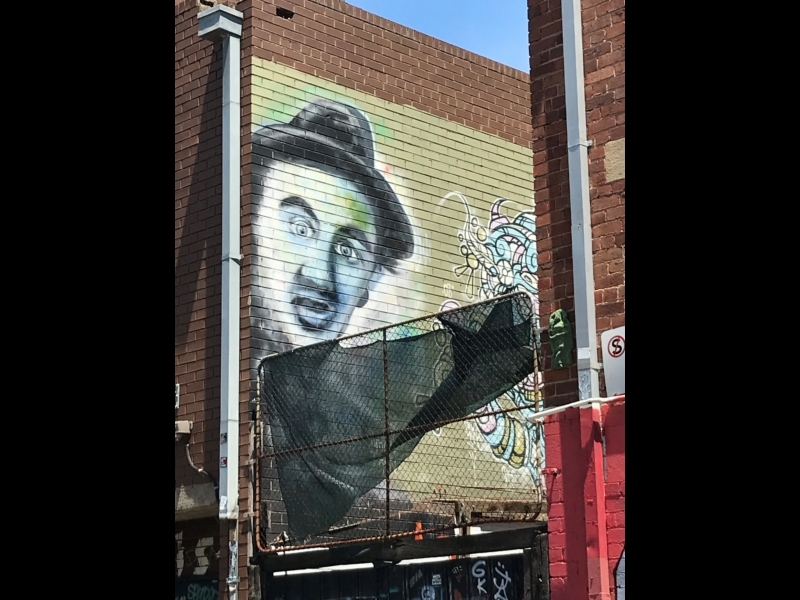 Inner-city Fitzroy is at the forefront of Melbourne's creative street-art scene! Take the 86 tram from Melbourne's CBD to stop 14 (corner Gertrude and Napier streets) to begin. 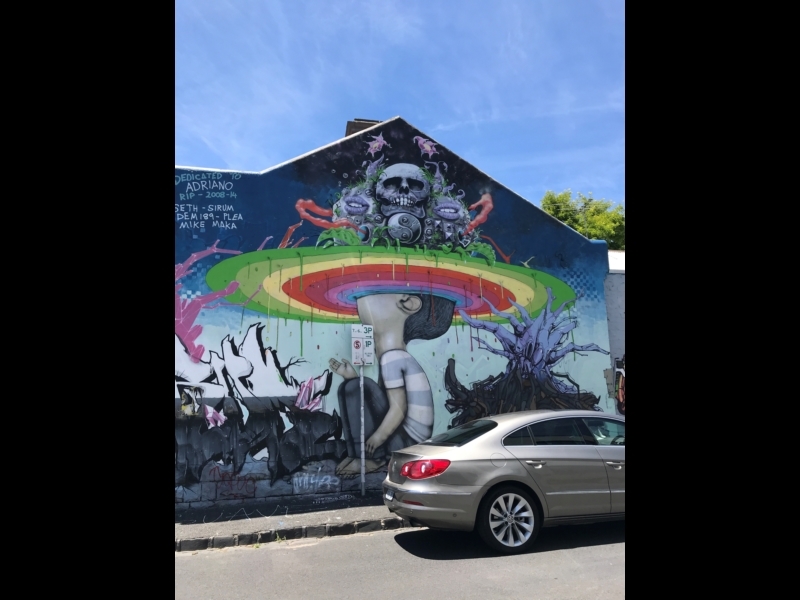 There's so much street art in Fitzroy you could wander for hours ... It's a free public gallery. The photos we've shared are only small selection of what's around. Some are political in nature, others beautiful, or simply strange and full of imagination. Enjoy! 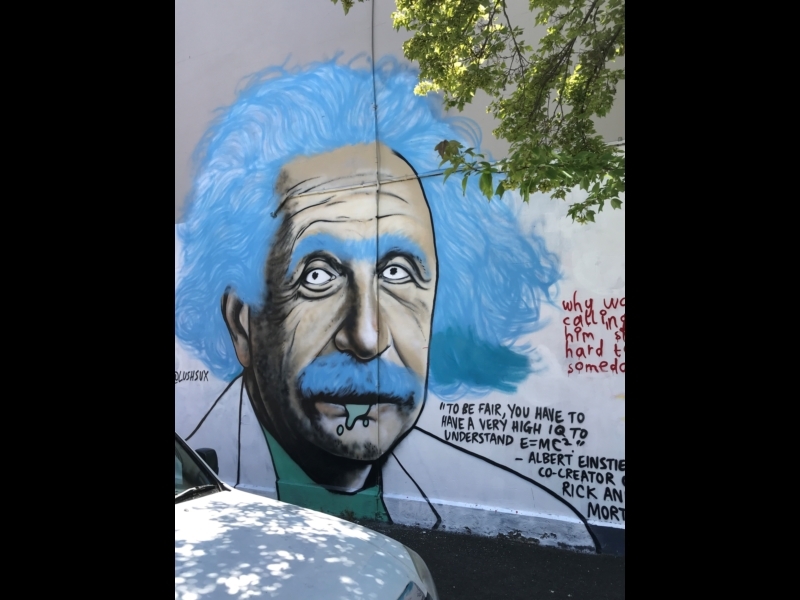 Please note: Street art by its very nature is constantly changing. We last updated this map in January 2018. 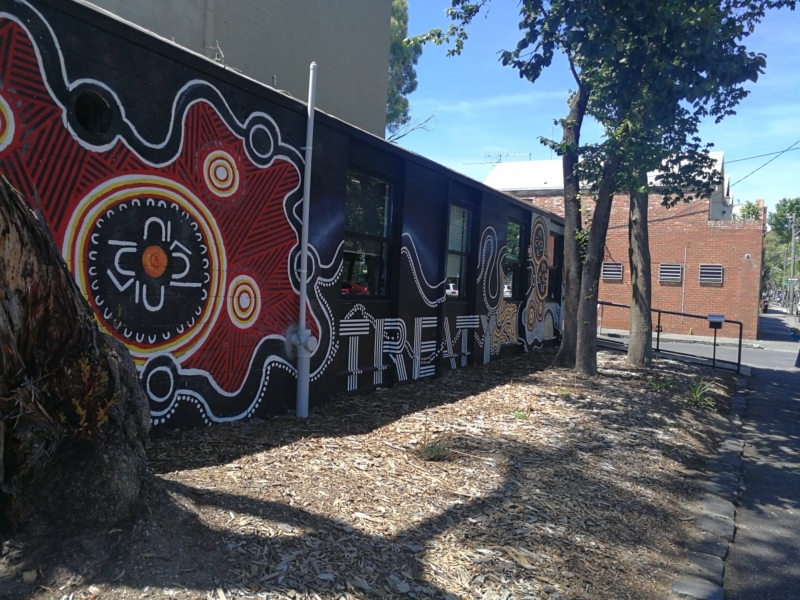 The Yarra Youth Centre at 156 Napier St is a great way to start. 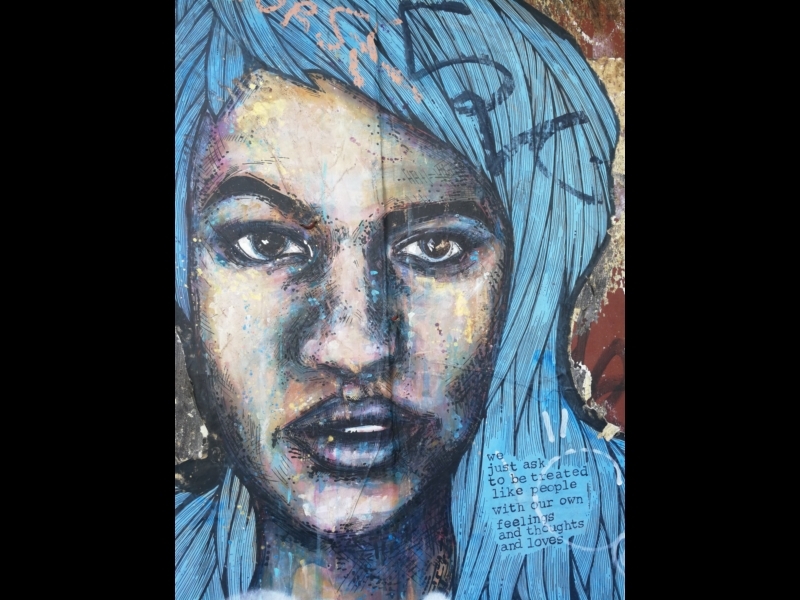 Pop around the corner on Charles St for a contemporary perspective on youth culture. This pocket-sized park is always being updated with art works. 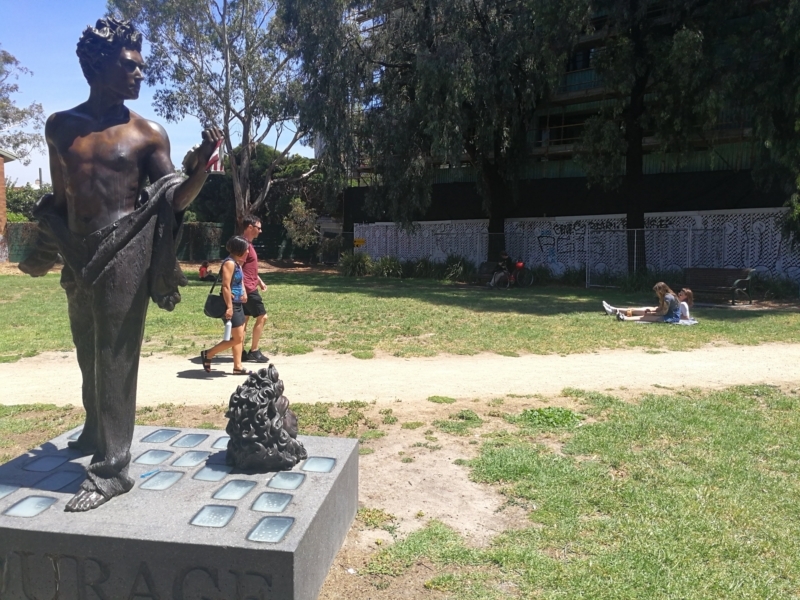 In 2014 a bronze sculpture was added to honour the City of Yarra's gay and lesbian community. We're not sure, but we think he likes the 40km/hr speed limit. Perhaps a reflection on the modern Melbourne diet? 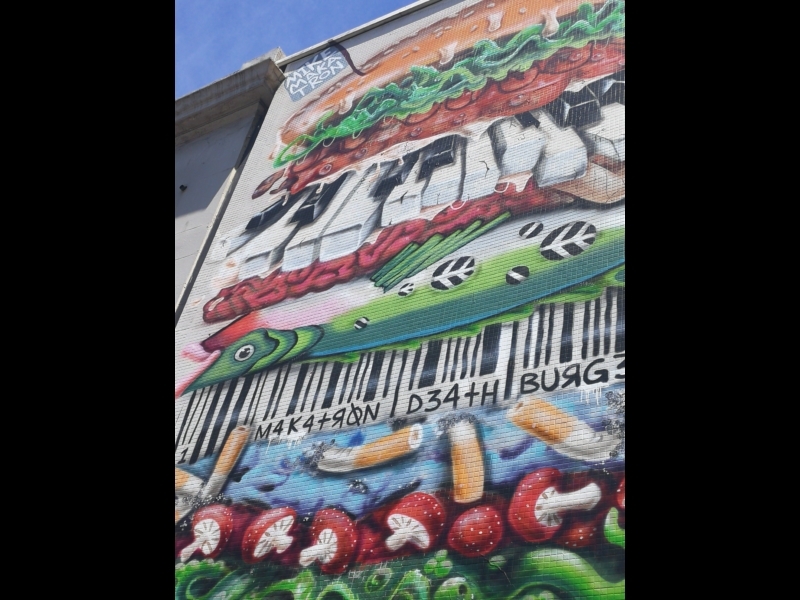 You'll find this image on Smith Street, near the corner of Moor Street. A lesson in seeing from another's perspective, just up from Smith on St David. 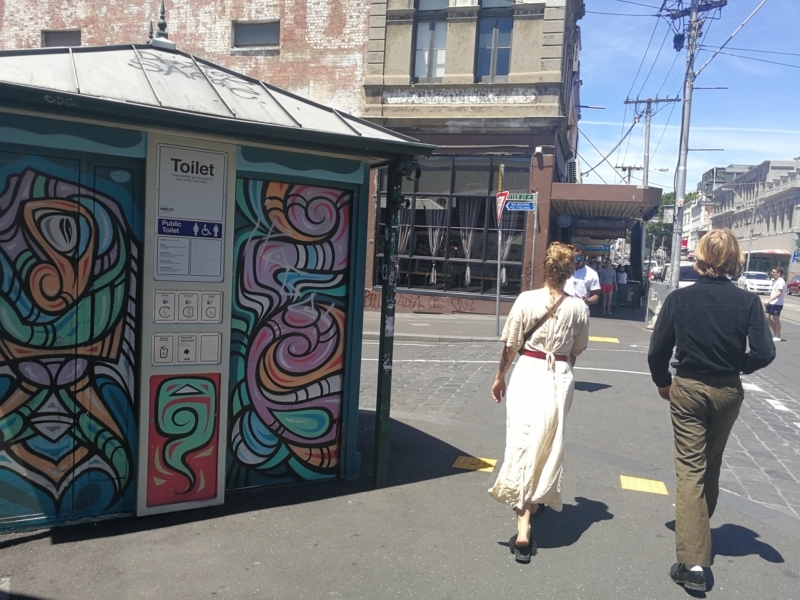 Naturally, even your toilet stop can have a street-art feel to it in Fitzroy! 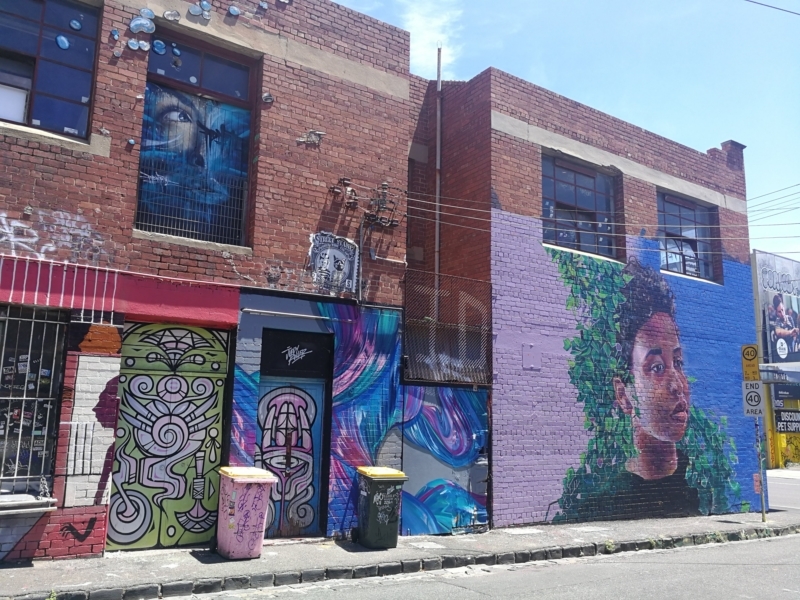 Corner of Smith St and Otter St.
Wow, this little laneway packs a visual punch and is obviously a constantly changing canvas. What will you see today? Stop and reflect on the fabulous Melbourne live music scene. 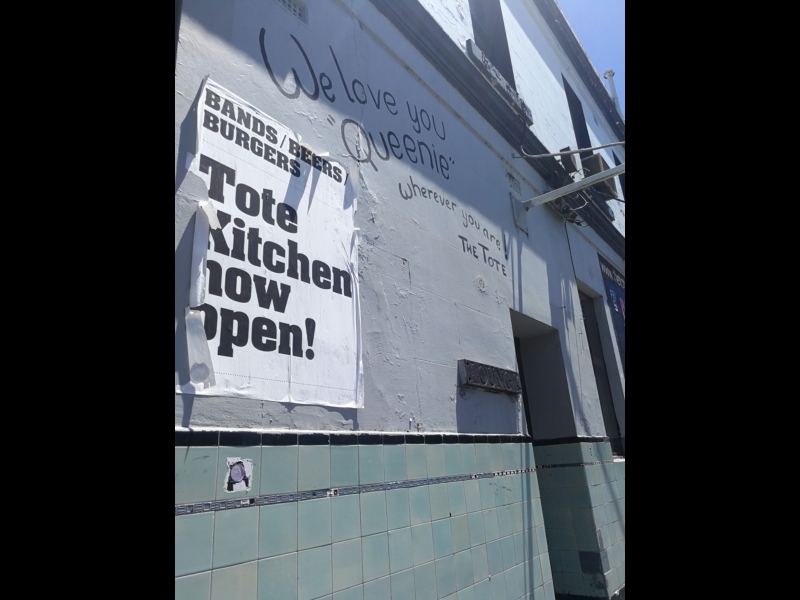 The Tote was a rallying point for efforts to ward off hungry developers from music venues a decade ago. 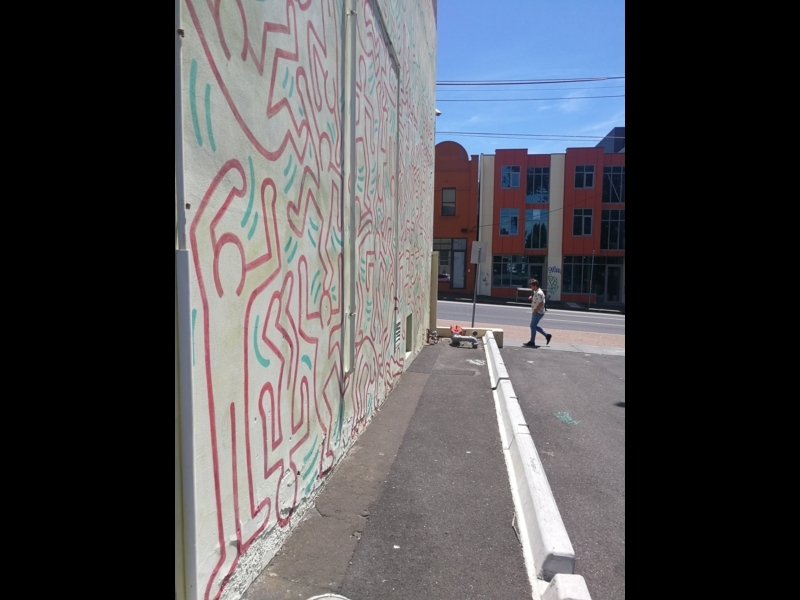 No tour of Melbourne street art is complete without a look at this famous mural, created by New York artist Keith Haring in 1984 on the former Collingwood Technical School. Haring died in 1990. 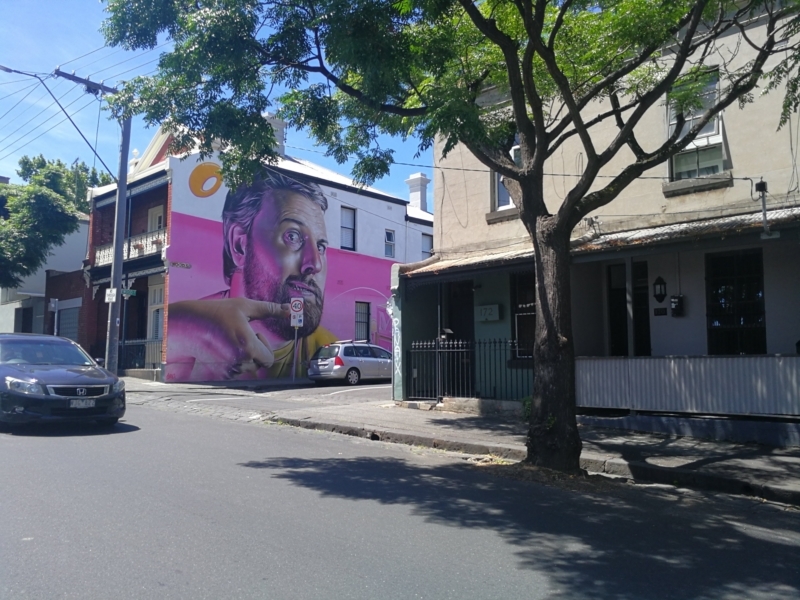 An intelligent decision by @LUSHSUX to provide food for thought for passers by. You will find him at the corner of Napier and Greeves. Wouldn't you love to know the story behind this. We would too! It was a collaboration between Mike Makatron & Julien Malland (Seth de Globepainter), Sirum, DEM 189 and PLEA. There's lots to see at the Johnston Street end of Chapel but this chap caught our attention. 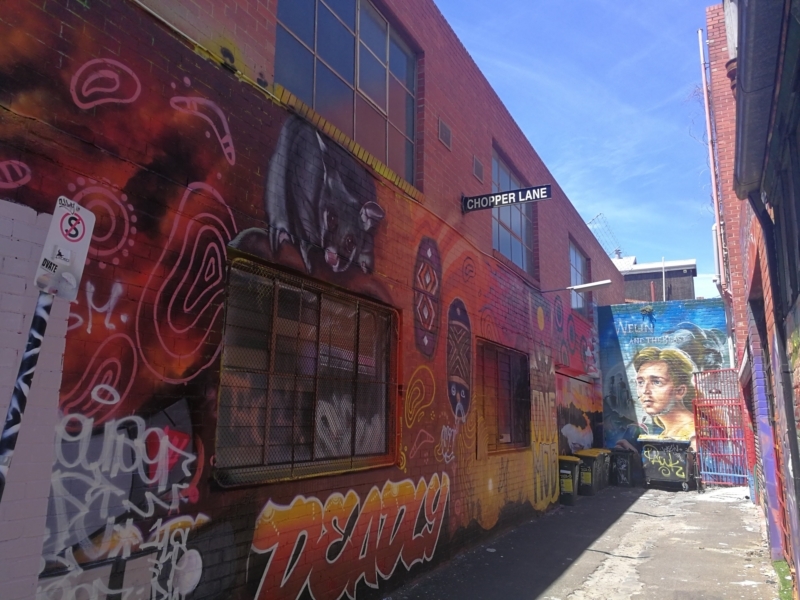 You can finish up your art tour here and head back to the 86 tram, or perhaps grab yourself a meal Fitzroy-style! 14. Get the 86 tram back to the city! Tram stop 19 back to the city is located on Smith Street, just north-east of the Johnston Street corner.